Even the most tremendous pie, will lose the charm if not to issue it glaze. 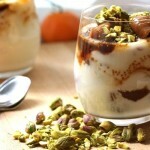 It gives baking of a special charm and an attractive esthetic look. We offer you the best selection of recipes of glaze, having armed with which, your pies will become the most welcome guests of holiday tables. The pie issued by mirror glaze is poured by all paints of culinary skill. 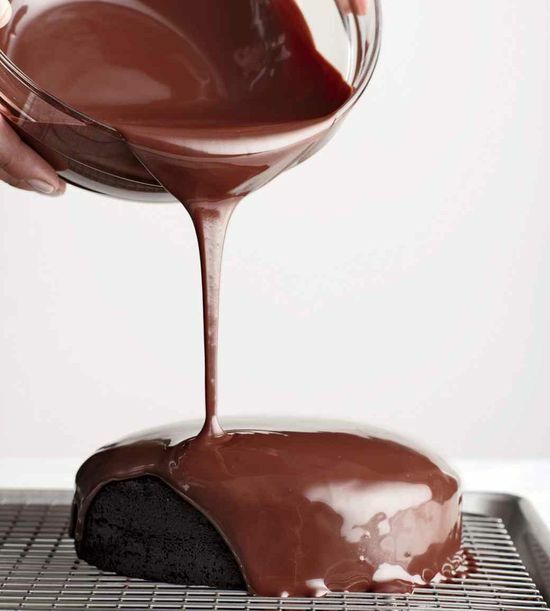 In preparation of mirror glaze there is nothing difficult, and the end result turns out simply bewitching. cream fat - 80 ml. cocoa powder or dark chocolate-70 gr. 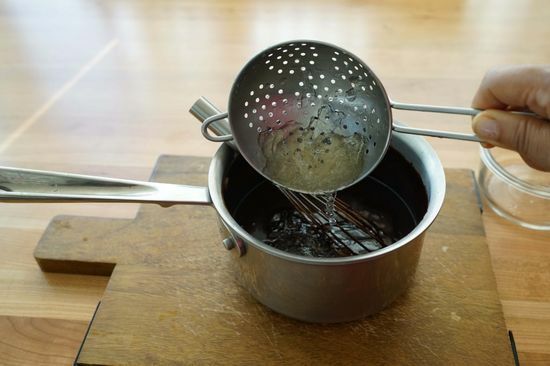 Gelatin needs to be wetted in a large amount of water for seven minutes. Let's take a small kastryulka, we will connect in it cocoa to sugar and we will well mix. After that we will add boiled water of room temperature and cream. Again we mix. On a note! 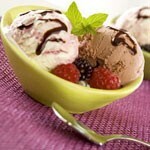 If you use chocolate instead of cocoa, the portion of sugar should be reduced to 100 grams. Let's deliver to a kastryulk with mix on small fire, we will bring to boiling at continuous stirring and we will allow to boil one minute and we will set aside away. Let's get the inflated gelatin, we will wring out it and we will add to glaze. We mix until gelatin completely is not dissolved. Glaze is almost ready. Now it needs to be poured in small capacity with a nose, to close food wrap and for days to put in the refrigerator. 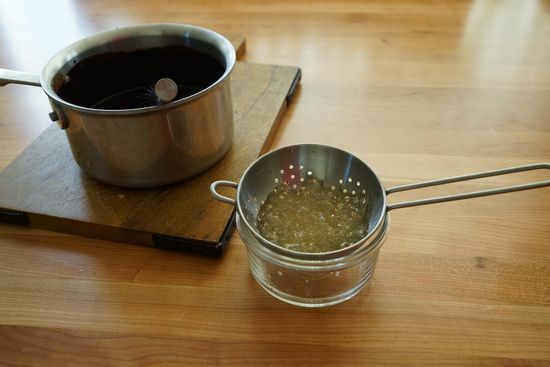 Before use, mirror glaze needs to be heated to body temperature, as in a cold state it very dense. It is the most widespread recipe of chocolate glaze which was used often for decoration of pies by our mothers. Its taste reminds the real dark chocolate with characteristic sourness. It is suitable both for registration of pies, and for preparation of glazed cheese curds or other delicacies. Let's take a stewpan or the smallest kastryulka. Let's pour out in it sour cream, we will add sugar and cocoa. Let's mix. Let's put on very small fire or on a water bath and constantly stirring slowly, we will wait for boiling. 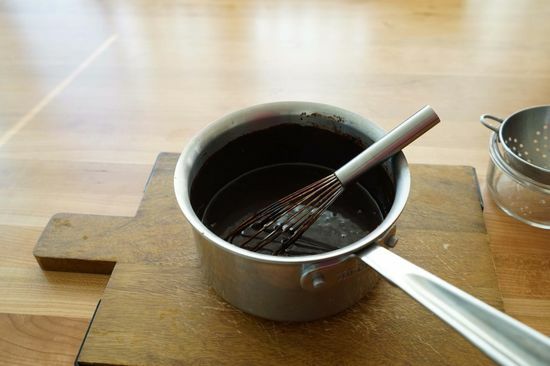 At once we add butter to the begun to boil chocolate glaze and, continuing to stir slowly, we wait so far it will thaw and to connect to glaze. We remove from fire. Before starting registration of a pie chocolate glaze, it should be cooled. It is good that gets denser quickly enough, but thus does not harden therefore the even beginning hozyayushka can work with it. 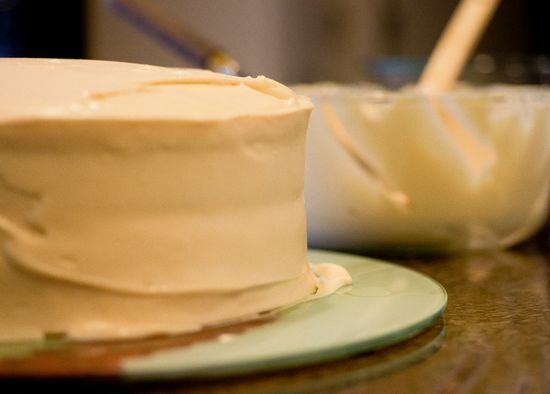 Most often remember white glaze when time of easter Easter cakes comes. It is unfair as white glaze is not worse than the chocolate at all. 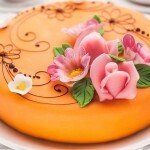 The pie which is issued by white glaze, looks more solemnly and is ideally suited for wedding cakes. white chocolate - 150 gr. vanilla sugar - 0,5 h. l.
The small kastryulka or stewpan will be required. 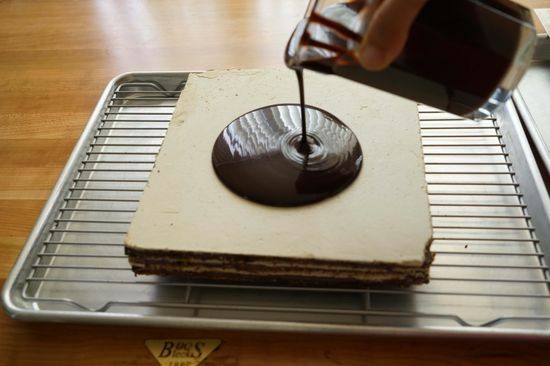 We will break chocolate on any slices and we will send to a pan, we will add the butter cut by slices. Further perhaps two different options. 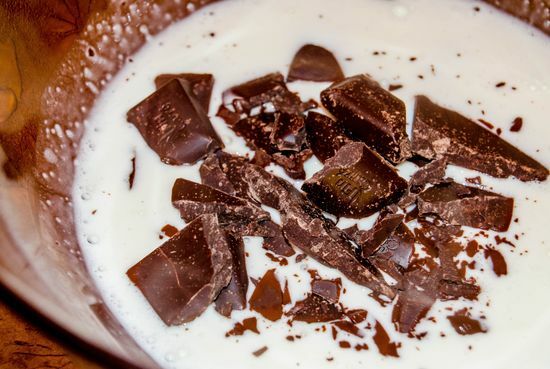 It is possible to fill in at once all with milk, to add sugar, vanillin, salt and to put on slow fire before full dissolution of chocolate. 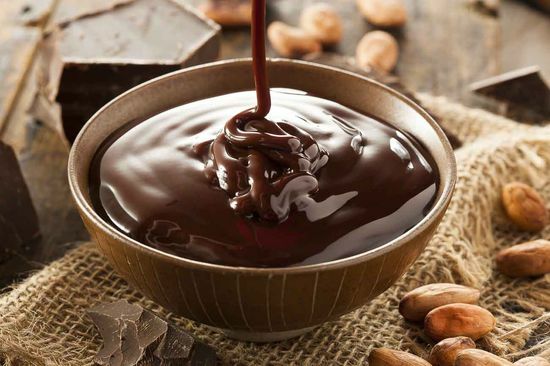 If to work in a different way, chocolate with oil at first needs to be kindled on a water bath and only after that to add salt, sugar, vanillin and milk. 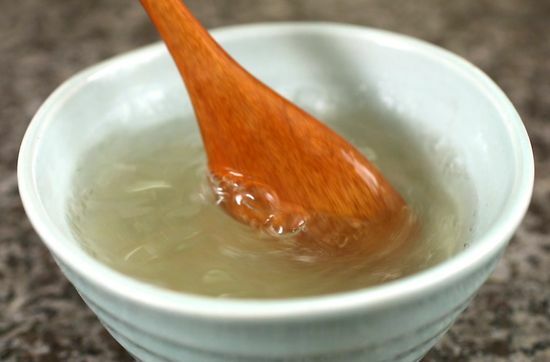 It is not necessary to bring white glaze to strong boiling. As soon as on a surface there are boiling signs, it needs to be removed from fire. Glaze is ready. In a warm look it can be used for registration of any house pastries. If you want that your glaze found similarity to that who can be seen on pages of glossy magazines, after removal of a kastryulka from fire it needs to be put in a big pan with cold water, to get the mixer and to shake up not less than five minutes. As a result dense white glaze which is used for registration of the most solemn pies will turn out. <How to prepare a tasty and beautiful pie of "Mikado"